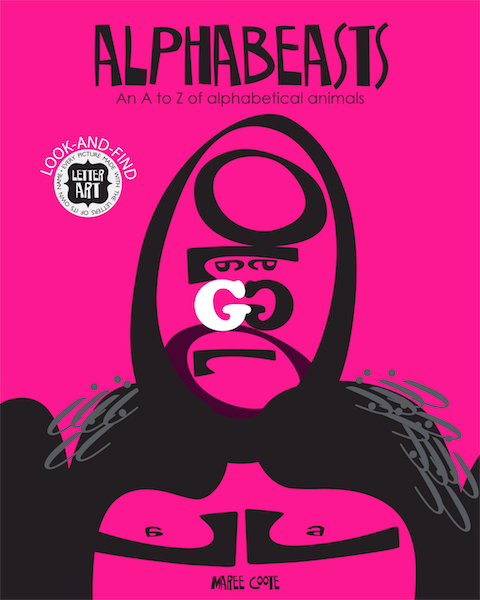 Alphabeasts: An A--Z of Alphabetical Animals by Maree Coote (Melbournestyle, March 2019, 9780992491772) is listed in the Publishers Weekly (circ. 16,554/1,543,448 uvpm) Spring 2019 Children's Announcements, included in the February 4, 2019 issue. Book reviews for librarians, book groups, and book lovers, from the trusted experts at the American Library Association. ...And here' a little look at the Korea Show, by a roving YouTube reporter Ollie, entitled "Quentin Blake & Maree Coote in South Korea"
of the best of the Bologna Ragazzi Children's Book Fair. Curator Lee Eun-Hwa has created a charming walk-through installation, bringing Coote's Letter Art to life. 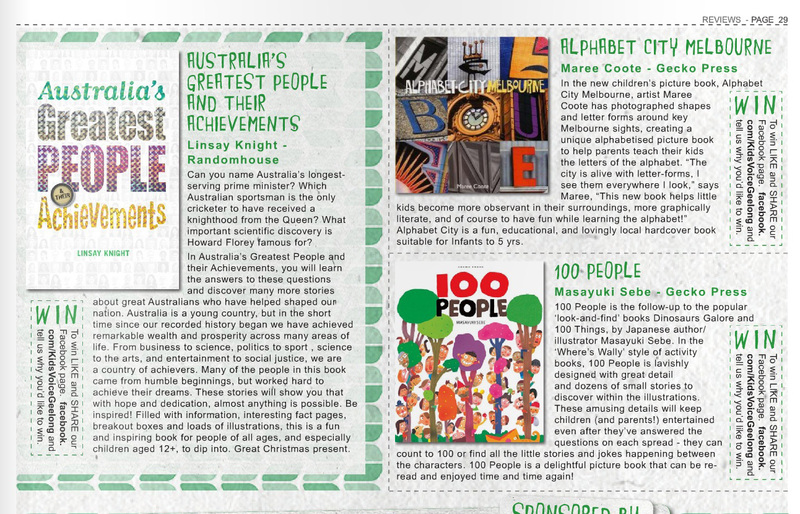 MELBOURNESTYLE BOOKS IS PROUD TO ANNOUNCE RECOGNITION IN THE 2018 MOONBEAM CHILDREN'S BOOK AWARDS. "The cause of promoting childhood literacy knows no boundaries, and the award winners illustrate that point well, coming not only from long-established publishers and university presses, but from small presses, foundations, museums, and self-published entrepreneurs. The Moonbeam Children's Book Awards are intended to bring increased recognition to exemplary children's books and their creators, and to support childhood literacy and life-long reading. The Awards recognize and reward the best of these books and bring them to the attention of parents, booksellers, librarians - and to children themselves." 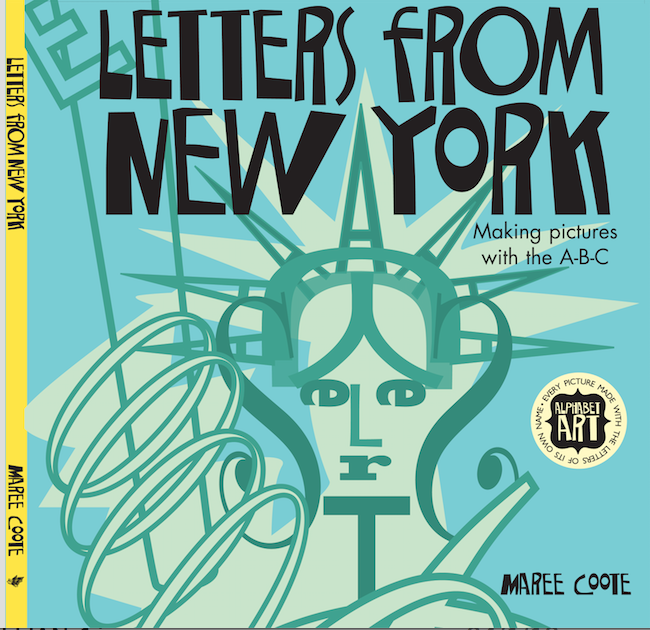 "Maree Coote continues her run of unique Australian picture books with this alphabet-strewn vision of the Big Apple. Each page features colourful renditions of New York landmarks, buildings, museums and personalities (real and mythical), each one niftily constructed by letters. There are squirrels to find, letters to spot and rhyming verse to explain it all." "What may not look like an information book at first, certainly is one with an instructional wrting-type that aims to increase knowledge and execution of a unique style of letter art -- fontigrams. The presentation in this book is bold and colourful. It is sturdy and the cover is funky and exciting. Perfect for individual readers and groups of readers, this book will provide hours of word fun for a young readership; engaging time in copying and practising examples for middle readers; and plenty of source material for graphic art skills. It is multi-purpose. Nowadays publishers and creators should invent ingenious ways of presenting information that doesn't look as though it comes from an iPad or website or an ebook. This book is a wonderful example of what can be achieved when they put their soul into it." __ -- from The CBCA Books of the Year Awards Judges' Report 2017. 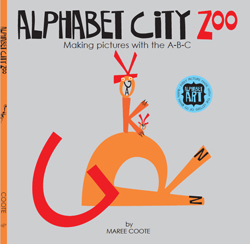 KIDS BOOK REVIEW reviews ALPHABET CITY ZOO. Alphabet City Zoo made a shortlist of 150 finalists - and only two of these from Australia. Fingers crossed downunder! In an eye-catching collection of "letter art," Australian graphic designer Coote reveals how letters can be used not as the building blocks of language but of artwork. A section titled "Architext " features typographic recreations of famous buildings from around the world -- swoopy capital Rs and Ds form the distinctive shells of the Sydney Opera House, for example, with rolling S waves below -- while the second and third sections, "Alphabeasts" and "Letterheads", show how letters can be transformed into portraits of animals and people. Throughout, Coote encourages readers to try their own hand at making letter art, offering pointers, different skill levels and challenges, and information about typography itself. Readers will finish the book both awed and eager to embark on their own typographical experiments. Ages 7-up." -- PUBLISHERS WEEKLY, OCT 31, 2016 USA. SPELLBOUND by Maree Coote is positively reviewed in the November 1, 2016 issue of USA's 'BOOKLIST' (circ. 24,150). The reviewer calls it "A great source for project ideas." "Australian writer, designer, illustrator, and photographer Coote demonstrates the concept of creating art using the alphabet. Following an introduction detailing text styles and typography, Coote explores the presence of letterforms in architecture, animals, and faces. For each section, she offers real-world examples (some photographic), provides design rules at three levels (beginner, advanced, and designer), and makes suggestions for getting started (the letter e can be used as an eye; B makes a great pair of glasses). She encourages young artists to observe objects they encounter to determine which letters hide within; her numerous examples include buildings, animals, and famous individuals from around the world. Color is used effectively throughout, often to set off black lettering. A few faces (Julia Gillard, former prime minister of Australia) will be unknown to U.S. readers, but many Americans are represented as well. A great source for project ideas; fans of Chip Kidd's Go: A Kidd's Guide to Graphic Design (2013) will welcome this title." 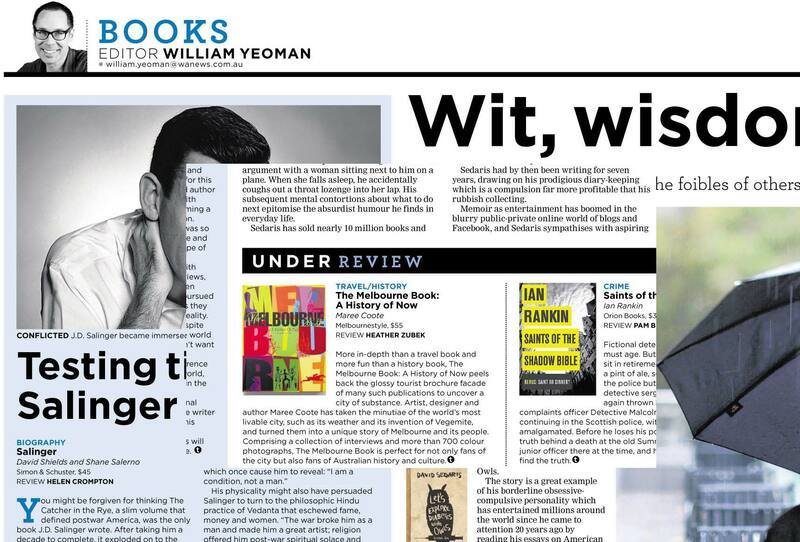 --KAY WEISMAN, BOOKLIST , USA. NEW YORK'S KIRKUS REVIEW September 2016: In an intensive review of Spellbound: Making Pictures with the A-B-C, the celebrated Kirkus reviewers conclude: "This large-format, 120-page Australian import is an exhaustive exposition of a unique art form, letter art....the visual puzzles are amusing and intriguing...". 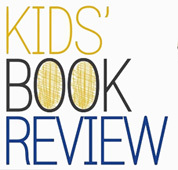 Melbournestyle Books believes children can indeed meet that challenge, and ultimately benefit from the bar being raised in their literary and creative explorations. DONNA DEMAIO'S GOSSIP SHEET: JUNE 28, 2016: "(TIM) Minchin is one of the subjects of new exhibition Spellbound by Maree Coote at Mario's Cafe, Fitzroy which has portraits of famous people including Prince, Molly and Bowie. The difference is that the works are a typographic 'fontigram' made from the letters that spell the person's name. So clever. Until August first." GSM Magazine MAY 2016: Special issue focussing on Typography. MAGPIES VOLUME 31, ISSUE2, MAY 2016: "Sophisticated, demanding of attention....Spellbound is not the average book in terms of size and presentation nor can it be pigeonholed by the age of readers who will find it fascinating..." - "MORE- Review by Evie Marshall, Magpies. Louise Owens, bookworm extraordinaire reviews the Launch & Exhibitionof the new book Spellbound: Making Pictures with the A-B-C.
David Hunt and Brendan Bale join Daniel to chat with typographer/illustrator Maree Coote about the Spellbound Portrait Exhibition, partnering the launch of her new book Spellbound: Making Pictures with the A-B-C.
Roving Reporter Clare Rawlinson interviews typographer/illustrator Maree Coote about the Spellbound Portrait Exhibition, partnering the launch of her new book Spellbound: Making Pictures with the A-B-C. The wonderful Susan Whelan finds out how books happen! "Mmn ... A very pretty book!" Chatting with author Maree Coote, about her new book SPELLBOUND. "5. Melburniana. When tourists ask their hotel concierge where they can get souvenirs designed and made in Melbourne they are directed to Melbournestyle. This is the shop of designer Maree Coote, known for her flying tram logo. Here you'll find cards, homewares, prints and her award-winning books. Upstairs is a gallery of Maree's prints, at present showing her works inspired by the Ned Kelly legend and the disappearance of Azaria Chamberlain. 155 Clarendon St, Tue-Fri 10am-5pm, Sat 11am-4pm, 9696 8445, melbournestyle.com.au"
See the other 5 ReasonsHERE then come on down south! Thanks, Spectrum; Thanks, The Age; Thanks, Mr Cornish. MARCH, 2014: SLOW magazine reviews The Melbourne Book by Maree Coote: "It's hard to imagine a more heart felt love letter to a city - a series of passionate essays, historical tidbits, celebrity quotes and evocative photographs that all pay homage to Melbourne rich cultural melting pot. "......READ FULL REVIEW HERE. "Here's a unique way to go on an alphabetically-inspired trip around Melbourne and a fun way to educate children up to five years of age........Even grown-ups will be inspired to keenly bond with their visual environment as they see outlines of familiar landmarks!" JANUARY 14,2014: The Sydney Morning Herald & The Saturday Age Traveller asks Melbournestyle author adn artist Maree Coote about her fave destinations - other than Melbourne. You mean there are other places????. REVIEW: "More in-depth than a travel book and more fun than a history book. The Melbourne Book: A History of Now peels back the glossy tourist brochure facade of many such publications to uncover a city of substance. Artist, designer and author Maree Coote has taken the minutiae of the world's most liveable city, such as its weather and its invention of Vegemite, and turned them into a unique story of Melbourne and its people. Comprising a collection of interviews and more than 700 colour photographs, The Melbourne Book is perfect for not only fans of the city but also fans of Australian history and culture." EXCERPT: "I try to get people to take up noticing, which I think is a dying pastime and fast losing favour with the e-distracted young. With their indoor lifestyles, prescribed entertainments, and with their heads stuck in screens and devices. At worst they'll get hit by a tram, at second worst they'll miss out completely on their own time and place. This is their city, their time, their place, and their story. They should own it." My rating = **** - Carpe Librum!" NOVEMBER 6, 2013:Veronica Ridge writes:'Alphabet City Melbourne is a unique children's book highlights Melbourne's diverse architectural design....' read on! OCTOBER 23,2013: "Maree Coote's guide to Melbourne is as extensive as it is passionate." - ARTS HUB reviews The Melbourne Book :A History of Now . "This isn't a history of or guide to Melbourne you'll read cover-to-cover and feel all the richer for it. It's an affectionate guide to the city and everything it offers and, like its subject, something you can enjoy at your leisure. You explore its pages the way you do a city: see something, think 'oh, that's interesting' and then experience it. 'There's a pretty great city out there,' Coote seems to say. 'Go have a look.' I'm inclined to agree." APRIL 27,2013: The Saturday Age Life&Style's Mary O'Brien interviews Melbournestyle author and artist Maree Coote in My Secret Melbourne. Melbournestyle selected by Mapple Magazine Australia 2014. Melbournestyle taken to the world! MARCH, 2013: BS JAPAN TV filmed a segment at Melbournestyle, as part of their TV Special on Australia and Melbourne entitled: Travelling Through Magnificent Scenery which went to air in Japan w/c March 12, 2013. We were beamed into over 30 million homes in Japan! Yes, that's the correct figure! How exciting! Melbournestyle is so thrilled to be the only Melbourne retailer featured in this entire film! We are so honoured to be included. Thanks to Oceapro Films for finding us. The crew were wonderful. Doomo arigatoo gozaimasu. MARCH, 2013: The Cityof Melbourne interviews Maree Coote, at the launch of her new children's book, 'When You Go To Melbourne' at Melbournestyle Gallery. 2007: That's right - THE New York Times paid us a visit. How did they find Melbournestyle? These New Yorkers... they don't miss a trick! or jump direct to the article DESIGN WITHIN REACH - we're item 5! WHEN YOU GO TO MELBOURNE. Big thanks to the marvellous Di Rolle for her interest and support. Degraves Street store inspired by our book. Thanks to Leesa and her team at LBR! Thanks to The Age - 'Bookmarks' for their acknowledgement of Melbournestyle's latest publication, THE ART OF BEING MELBOURNE, and its recent award. "CONGRATULATIONS to Maree Coote, who has won the major prize in the Victorian Community History Awards for her book The Art of Being Melbourne, which chronicles in a beautiful and original way the development and history of Melbourne over 200 years or so via its representation in art." - Jason Steger, The Age, 27 October, 2012. The book "chronicles in a beautiful and original way the development and history of Melbourne over 200 years...via its representation in art." - Bookmarks, Oct 27, 2012. MAY 2012: 05.03.12 The Melbourne Book author, Maree Coote returns to Breakfasters to chat about her newest book about the city, The Art of Being Melbourne. Maree shares her experience of putting together the book, which features portraits of Melbourne's urban spaces and makes an argument for what she considers Melbourne's most iconic landmark. IN THIS ISSUE, a review of Maree Coote's new book: 'The Art of Being Melbourne'. "A flick-through gallery that not only charts the tone and progress of the southern capital but spins the history with fresh perspective. Stroll its streets, get caught in its rain, take its trams and dip your toe in its bay via brush and canvas. Moody, marvellous informative." IN THIS ISSUE, Melbourne writers including Maree Coote contribute their suggestions for Christmas and New Year reading. THIS ISSUE Excerpt from The Art of Being Melbourne by Maree Coote. JANUARY 2012: Megan Backouse of The Age reviews Melbournestyle and interviews Maree Coote. Thanks Style File and Womans Day! MARIE CLAIRE ITALIA says Si! COOL HUNTING IN NEW YORK! The Design Files (the webs' most gorgeous collection of information objects and style) has just featured Melbournestyle. We know once you taste The Design Files you'll be addicted! "A great big love letter to Melbourne!" "IT'S AN ORIGINAL, WITH A STRONG SENSE OF PLACE AND ABOVE ALL, IT'S A STYLISH MOUTHPIECE FOR MELBOURNE." OMG! OPRAH! According to The Age, (Sat.18/9/10 P.7 news) Melbournestyle's own Melbourne Scarves are the pefect gift for Oprah. And we agree of course. "Here is much more than a store, it is a history lesson, a celebration of all that is uniquely Victorian (including Ned Kelly), somewhere to lose yourself and delight in the sheer creativity on offer (tasteful creativity, of course, in true Melbourne style). It makes souvenir places seem very tacky in comparison. On Clarendon Street South Melbourne, it's the first and only experience of its kind. A visit to Melbournestyle is a must do." "THIS MELBOURNE MECCA IS BANISHING THE CULTURAL CRINGE WITH ITS BEAUTIFUL AND UNIQUE INTERPRETATIONS OF AUSTRALIAN ICONOGRAPHY." "IF YOU LOVE THIS FABULOUS CITY OR ARE LOOKING FOR THE PERFECT SOUVENIR....."
"There are no flippant inclusions.Everything has a reason for being - a connection to Melbourne or Melbourne people who are doing something special." Thanks to the fabulous people at Melbourne Living magazine for their tribute to our tribute to Melbourne. "E' negozio e galleria questo spot avviato con successo dall'artista Maree Coote, specializzato esattamente nel Melbourne style: arte, moda e oggettistica, tutto disegnato e realizzato in citta." Meanwhile, back here at home, since they first found us in Home Beautiful , the Home Beauties have visited time and again with their fab shoping tours (see below). HOME BEAUTIFUL has listed melbournestyle in the legendary STYLE HUNTER Shopping Guide...So you can grab a copy (free with the latest issue) and visit us along with all the other top-shoppable spots in Melbourne in one go. Look forward to seeing you in your safari suits soon. Thanks to the gorgeous gals at Home Beautiful - we are very chuffed to be included in their guide. See you soon. 2013 FINALIST, The Melbourne Award Melbournestyle founder Maree Coote is named as one of 5 finalists in the 2013 Melbourne Awards Contribution to Profile by an Individual. 2007 WINNER Best Business Under 50 Employees Category, Leader Business Acheiver Awards. "EVERYTHING IN THE GALLERY PLAYS ON MELBOURNE'S UNIQUE SENSE OF HUMOUR AND CULTURE THROUGH CLEVER OBJECTS." melbournestyle's domestic sculpture was profiled here in the EMERALD HILL WEEKLY's Retail Therapy column - the tag of 'Arte-facts and fictions' being uncannily close to what we are all about! Once more, THANKS to all who have helped bring our message of place, style, art and history to the wider world. If you have some good news about Melbourne, email us and we'll post your news and /or links right here. And if that's not enough culture for you in one hit, here's more.